Wouldn’t it be great if you could build your own salt water distiller with minimal tools? 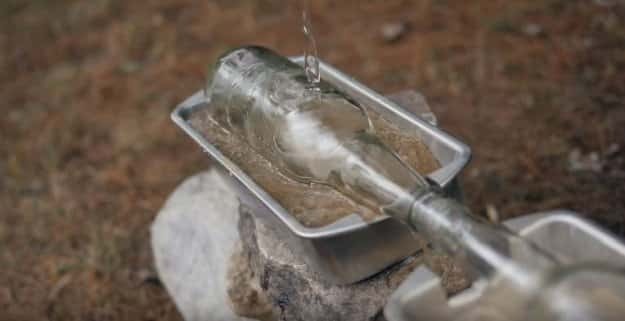 When you’re out and in need for fresh water you can use the same idea as the following homemade salt water distiller uses. You do need some materials to get started but with the sheer willpower to survive this shouldn’t be a problem. 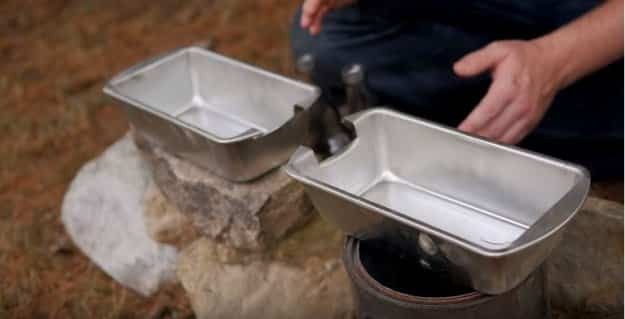 To start with your salt water purifier, position the metal trays in such a way that the two bottles rest mouth to mouth. Cut a notch on one side of both trays, so the neck of the bottles can sit a little lower in the pan. Suspend one of the bottles over a heat source. For example, here, a homemade rocket stove is shown. Secure the trays in place and fill them with sand. The sand will allow the trays to act more efficiently as the heat sinks. The first tray is for cooling one of the bottles, while the other tray evenly heats the other bottle, so it doesn’t shatter from too much heat on one side. Press the bottles firmly into the sand to give them good thermal contact and allow for evenly distributed heat. Make sure the bottles meet up as steadily as possible to prevent water vapor from escaping. 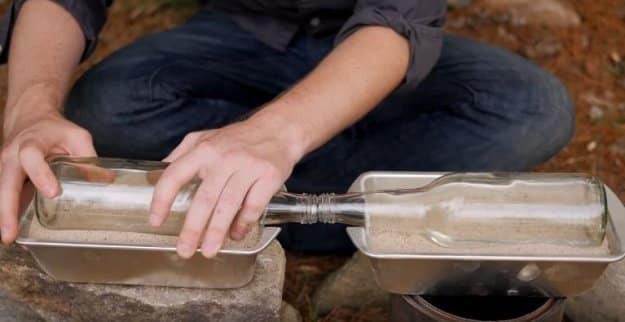 Fill up one bottle with just enough volume of seawater so it doesn’t spill when turned sideways. As an additional measure to keep the cold half of this setup, wet the sand on the receiving bottle’s end to allow evaporative cooling to take place. 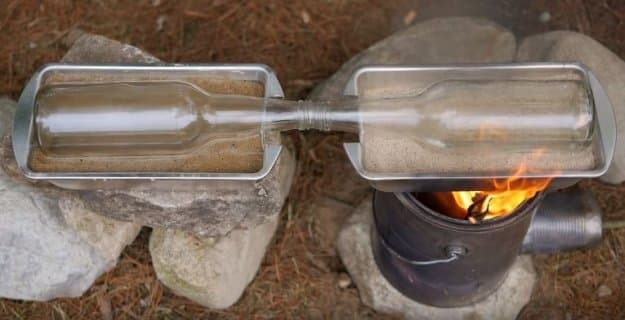 You can cover the entire bottle with more wet sand or a wet towel as an alternative. It’s time to fire up the heat source. 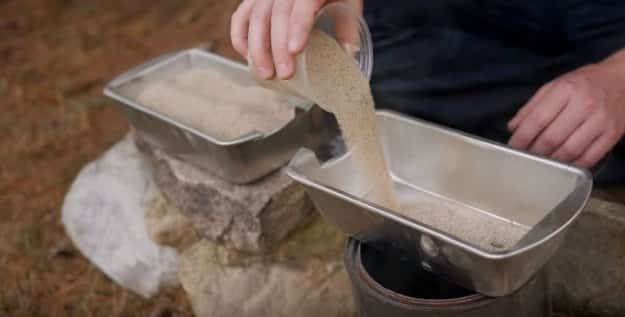 The quantity of sand on the tray may delay the water from reaching its boiling point immediately, but once the sand is heated enough, it stays hot for a long time. As the water boils dry, simply refill it to continue with the distillation process as long as you want. You’re done! It’s time to taste your distilled water! There you have it! Now, you have your DIY water distiller. Now that you know how to remove salt from water without boiling, it’s time to test if your newly distilled water is good for hydration and no longer has a salty taste. 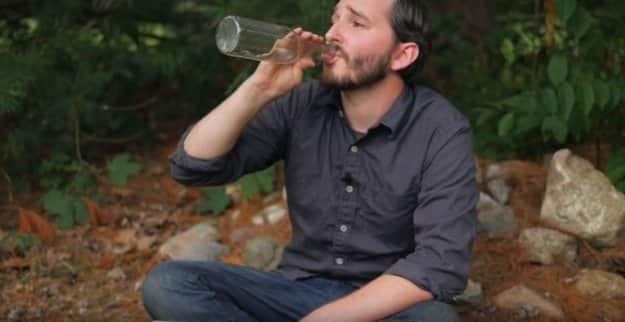 You can do this desalination of seawater for drinking all over again until you have a large enough water supply to keep everyone hydrated in a survival situation.